On November 17, 2016, Netherlands Royal website published new portraits of Princess Catharina-Amelia, Princess Ariane and Princess Alexia of The Netherlands. Alle 3 are beautiful girls. And ariane will break hearts and rock the world, when she is grown up.She is a Star. Effectivement, Ariane a les plus beaux traits. En vieillissant, elle devrait ressembler davantage à sa maman. Cependant, à leur façon, toutes les trois sont charmantes et jolies. Cute girls :) but I agree that Ariane is going to be a stunner. She looks very much like Maxima. I am a bit confused. 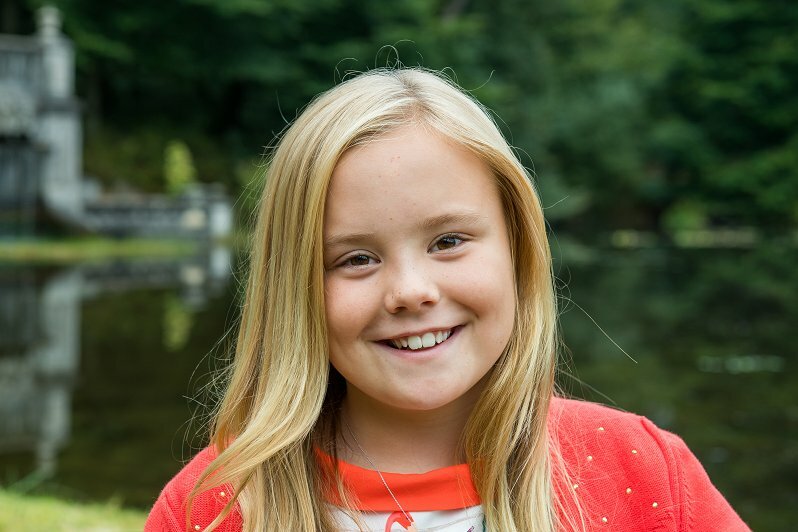 In the first photo, Catharina-Amalia is on the left, Alexia is in the middle and Ariane is on the right. They are misidentified in the caption. Alexia is the one who looks very much like Maxima. Pine; that is correct. 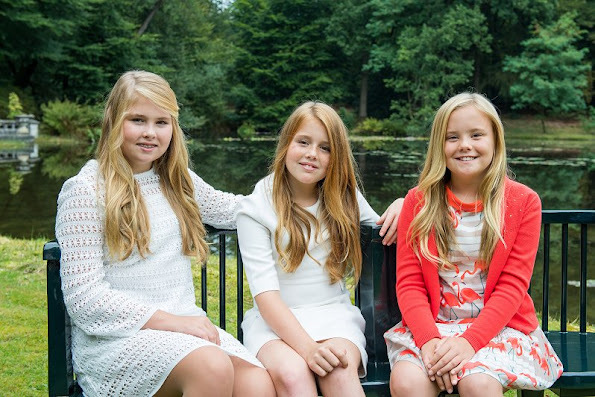 I think Catherine-Amalia and Arianne look quite much alike and Alexia is copy of Maxima. Oh you are right Pine. .The redhead is Alexia. She is the Maxima look a like and the stunner. Yes, Diane, you're right that Alexia's red hair is a good way to distinguish her from the other two, who look very like each other. All pretty and appealing girls in their own way. I agree: the redhead Maxima-Lookalike is stunning (whatever her name is). But I have to say that my first thought while looking at the pictures was: Do they not have any healthy food at the dutch court? 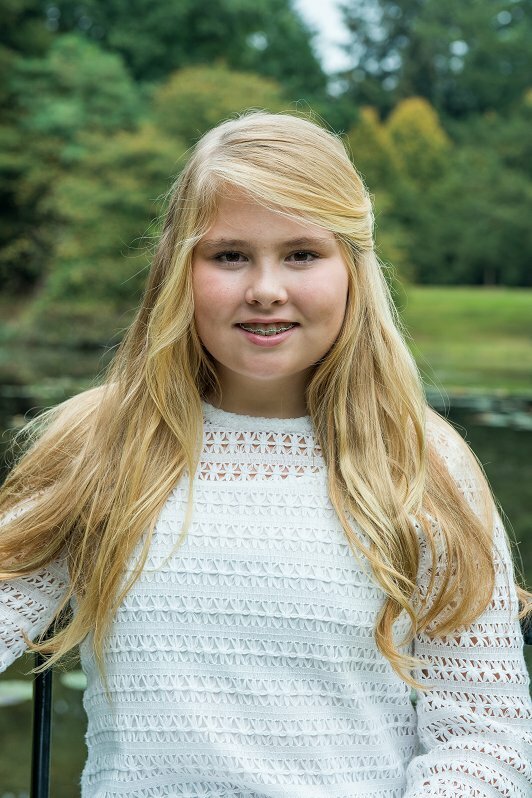 Coralie ~ the Dutch royal family have wide faces and big cheeks. Willem has them. His Mother Beatrix had as did her siblings and parents. The girls have them too. 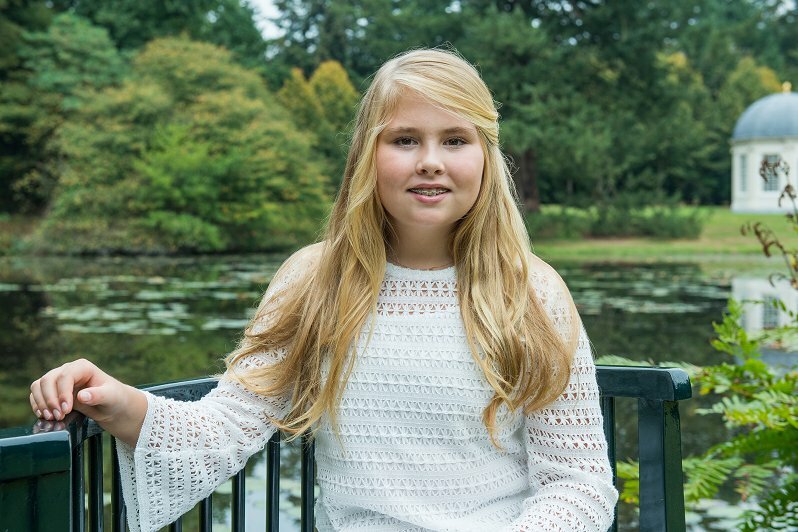 If you look at a picture of Amalia at the same age as Alexia (who looks thinner facially) they look the same. I think they are not sticks. They have bigger boned bodies like the Oranges do and they have a Mother who is full body hour glass shape. I think they often look bigger due to the face. It is true that Amalia looked a tad heavier for a bit after she hurt her leg. But school pictures of her posing standing next to her bike off to school do not show that she looks bigger. Diane, taking a closer look, I think you are right. It is a matter of bone structure. I made the mistake to compare the dutch girls with the delicate spanish senoritas and that is nonsense of course. No need to compare them. 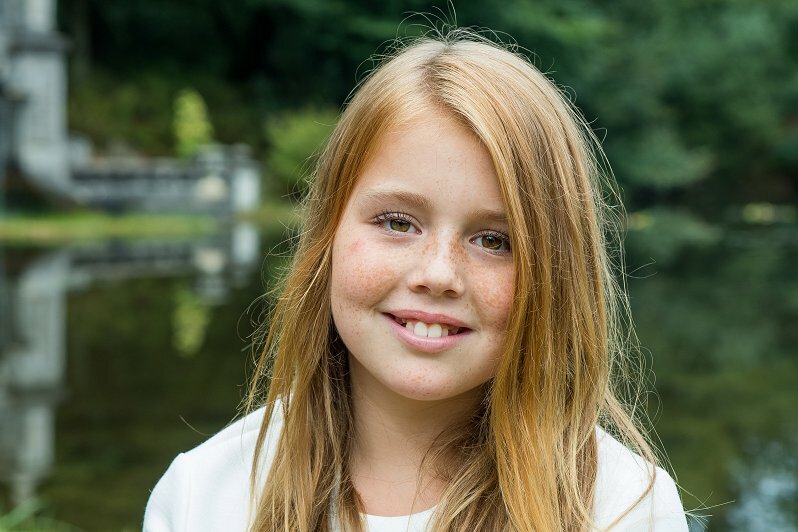 If you google photos of Queen Wilhelmina, Queen Beatrix' Grandmother, you can see that the full face and figure goes back a long way into the family's genetic past on the female side. Very strong genes! And Queen Emma before Wilhelmina, her gradmother etc. Very true. 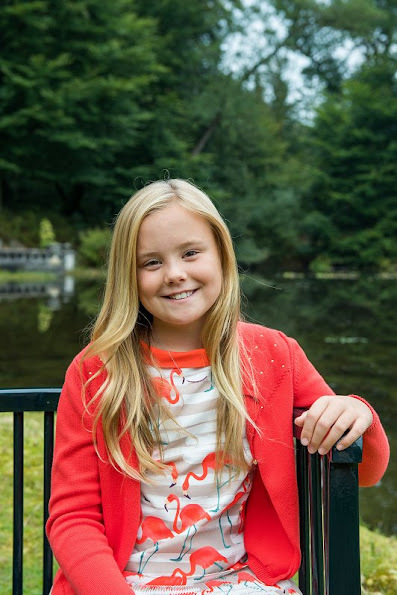 You can see Emma in Catharina-Amalia. It's remarkable. Very very true! Strong genes in this bloodline! They are still very young girls and can grow up to look like Twiggy some day. The girls are young, glowing and and they look very healthy. They also have round faces, round faces which they have all had since since birth. Now that the girls are nearing puberty they may have what is know as a little "puppy fat" but this normally melts off in a few years when girls blossom into young women. The girls parents are both tall, so I would hazard a guess that these three lovely young girls are going to be fairly tall young ladies. Beauty comes in all shapes and sizes. Beauty is also in the eye of the beholder. These 3 girls are all beautiful, no matter genetics they are all beautiful in their own right.